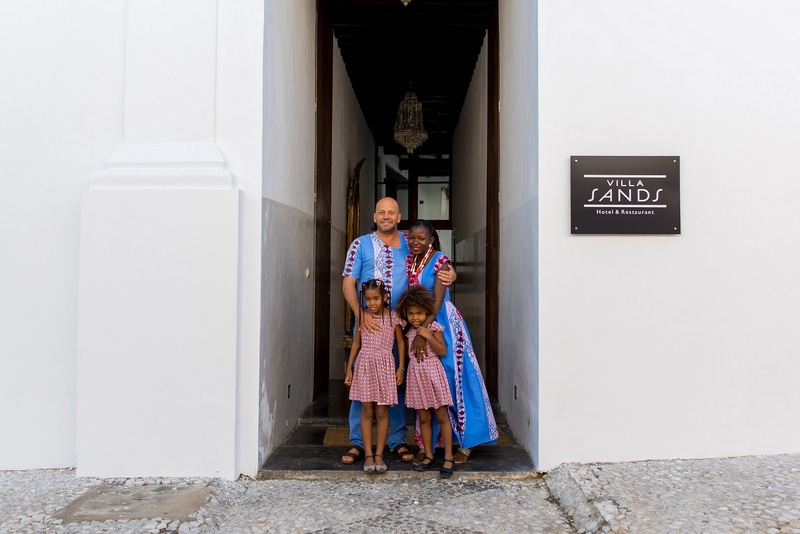 What today is Villa Sands started with a passion for Ilha de Mocambique as a little known and largely forgotten cultural – and historical phenomenon in the Indian Ocean. It’s becoming is guided by the principal of wanting to make the impossible possible. Almost 15 years ago Anders Runer and his wife Lena Runer came to visit the island called upon by a Swedish friend who had ended up living here. He felt a strong urge to participate in the beginning of the rehabilitation of this former pearl at the southern tip of the former Swahili trading system. After some searching he found three inter-connected ware-houses on the west-facing beach of the island that had been taken out of use some decades ago and now had no use as all other ware-houses along the same coast. An ocean-front property with a world cultural heritage at its back and a bay with a sun-set at the horizon in front was an opportunity not to be missed. He decided to transform the structure into a house sufficiently large for his expanded family. The undertaking was declared impossible at the time as it had been decided to use a traditional constructive system that would contain contemporary comfort with all the technical installations this implies and that were not available on Ilha at the time. A Swedish architect was contracted who designed the project on site for half a year and then a process of construction led by a local builder was initiated that would last for four years. The structure was completely built by hand without power tools or other mechanical help. Enormous amounts of lime were produced nearby in the same location where the Portuguese did the same thing half a millennium ago. The absolute majority of building material was sourced in the vicinity and much was transported to Ilha in boats, like in the days before the bridge. In the process of transforming and qualifying the structure it became evident that it initially only would be possible to find financing for other rehabilitation efforts on Ilha through the private sector. Many possible investors felt that there were no options available on Ilha at the time that provided sufficient comfort as tourism found itself in its very infancy. Therefore it was decided to open Villa Sands to the public as a hotel. Again this was considered trying to make the impossible possible as such a task had not been attempted here since independence. At this time Anders met Gisela who had decided to move from Maputo to Ilha to marry Marcus who was the architect of Villa Sands and today they have two daughters, Liv and Kailane. She had studied Agronomy in Italy for five years before returning to Mocambique where she became a business consultant helping foreign investors to establish themselves within the local market and its particular reality. Anders and Gisela became partners, which again was considered impossible as the differences between the cultures of Mozambique and Sweden are difficult to bridge. Today these differences have proven to be a tremendous asset as both bring their particular knowledge and back-ground to the table and then try to find solutions for the development of the hotel that pay respect to both realities and thereby creating strategies that must be considered out of the box. A tremendous effort has been made to qualify the staff of the hotel that is 100% Mozambican as there was no qualified staff available in the north of the country when Villa Sands opened. Gisela has been declared the first Mozambican ever to manage a hotel of the level of ambition that Villa Sands represents. 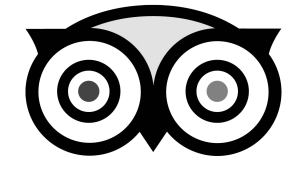 One will find no stars on the logo of Villa Sands as we believe that the only stars relevant are the proper guests of the hotel. We hope that those who come to visit us will feel at home during their stay as the hotel is family run and initially was conceived as a home.